Last month, a blistering heat wave killed at least 60 people in Karachi, Pakistan. Across East Africa, severe flash flooding displaced hundreds of thousands, and just days into this year’s hurricane season, a tropical depression off the coast of Mexico exploded into a Category 4 storm overnight. In the next 12 years, these climate change impacts could push another 100 million people into extreme poverty. While we must continue stepping up efforts to limit global temperature rise, we must also rapidly scale up adaptation action. This is the challenge that over 1,000 policymakers, business leaders, experts and practitioners will take on next week as they gather in Cape Town – a city grappling with its own climate-related water crisis – for the biannual Adaptation Futures conference. What solutions will they come up with? Here’s a preview of four changes that must happen to prepare the world, especially the poorest and most vulnerable communities, for the intensifying climate impacts that lie ahead. 1. Integrate adaptation across every sector. Many countries are already advancing innovative adaptation actions: cyclone shelters across Bangladesh, rehabilitated mangroves in Fiji and early warning systems for heavy rain in Rio de Janeiro. But these efforts aren’t adding up. To help millions of people build resilience to the impacts of a warming world, countries must start mainstreaming adaptation. Doing so can simultaneously improve development, maximize resources and avoid investments that can lead to inadvertent negative outcomes. Europe’s largest port, Rotterdam, offers a prime example: it adopted an integrated climate change adaptation approach that protects its citizens from flooding, safeguards businesses from sea level rise and improves public spaces, especially in lower-income neighborhoods. The city constructed dykes, public playgrounds that double as rainfall collection spaces and blue-green corridors of waterways, lakes and grassy parks that can store excess water when sea and river levels rise. In just one year, it also installed over 185,000 square meters of green rooftops, filled with vegetation that can help absorb excess rainwater. 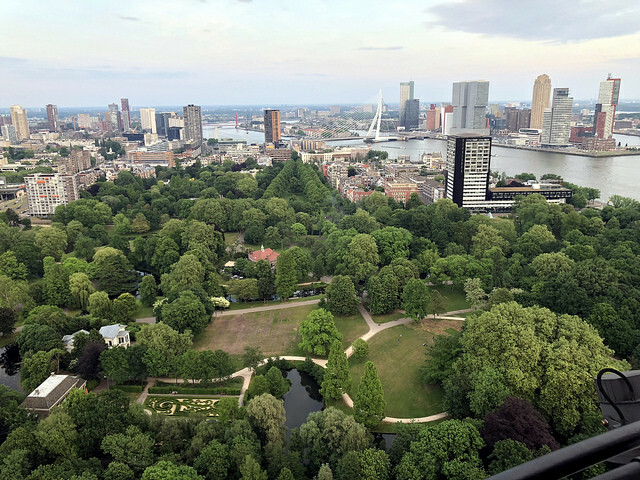 Much of the success of Rotterdam’s adaptation efforts, which have helped Dutch consulting firms attract business from climate-vulnerable cities around the world, hinges on officials’ investment in adaptation and decision to embed resilience across its urban development. Thousands of kilometers away, Zambia has also integrated adaptation planning into its Sixth National Development Plan to sustain economic growth, reduce poverty and catalyze large-scale investment in adaptation. This plan gave policymakers in sectors that are highly vulnerable to climate change – agriculture, water, health, energy and housing – a roadmap for assessing and managing climate risks. It has also helped ensure that Zambia’s national budget included adaptation, a significant move to mainstream resilience across national planning. Increasingly severe climate impacts are beginning to test the limits of what we can adapt to by incrementally adjusting our agriculture, water management, and other key economic or social systems. In some locations, these impacts will require fundamentally changing how food is produced, how land is managed and where people live, in order to safeguard development gains and reduce the escalating risk of conflict. The 120 million people who depend on coffee for their economic survival, for example, face an uncertain future. As temperatures rise, the heat-sensitive plant produces fewer beans, and pests that can easily wipe out entire farms, like coffee rust, thrive. How can governments best support farmers in shifting to crops that suit new climatic conditions? How can they access the resources to do so? 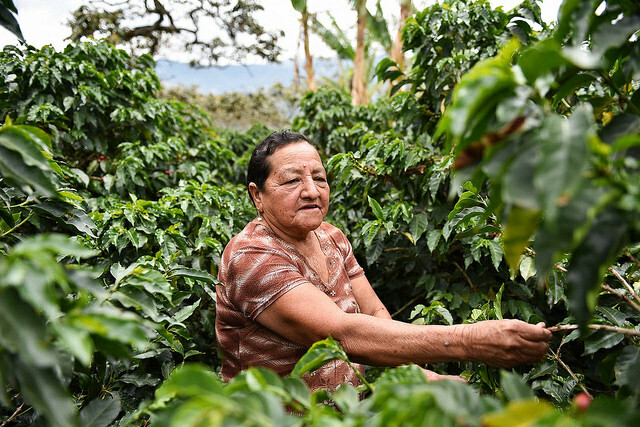 Longer-term planning can help countries dependent on coffee minimize disruption, spread out costs of transforming production systems, and ensure that the poorest and most vulnerable have a say in decisions that affect them. Just as it’s important to raise the profile of climate risks, we must also do a better job of highlighting solutions. Many communities are already adapting to the impacts of climate change; their stories are not always told or visible. In Brazil, for instance, researchers increased coffee production by 20 percent by moving production closer to forests of native tree species, which shielded the plants from sunlight and higher temperatures. But such solutions have yet to be tested on a large scale. 4. Facilitate South-South collaboration and knowledge exchange. Developing countries on the frontlines of adapting to climate changes are leading the way forward in creating resilience solutions. The Least Developed Countries Universities Consortium on Climate Change (LUCCC) has been working since January 2017 to support all 48 least developed countries adapt to climate change by sharing knowledge between their universities and training institutes. The Africa Adaptation Initiative (AAI) offers another example of an effective, coordinated effort to accelerate adaptation action at scale. Led by African countries, the Initiative helps governments develop and implement National Adaptation Plans (NAPs), access climate finance and strengthen climate information services. More efforts like these are needed. All Parties to the Paris Agreement set a global goal on adaptation, and 140 countries included resilience targets within their Nationally Determined Contributions (NDCs). Nearly 1,000 regions, cities and towns have already undertaken more than 1,500 adaptation activities. As experts assess progress at Adaptation Futures, they can build on the growing political momentum for adaptation measures and accelerate climate-resilient development around the world.